Glittering with sumptuous sapphires and sparkling diamonds, this elegant 9ct two colour gold ring features stylish milgrain edging for a classic feel. 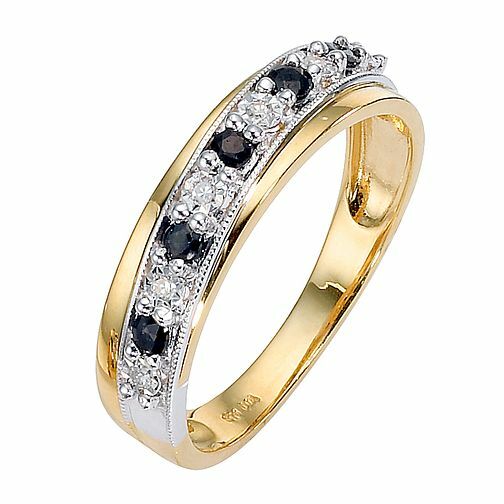 9ct Gold Two Colour Sapphire and Diamond Crossover Ring is rated 4.8 out of 5 by 4. Rated 5 out of 5 by Anonymous from Elegant and timeless piece Fits perfectly with my engagement and wedding rings, elegant and timeless piece.